God is passionate and I want to live my life sharing His passions through my actions every day. 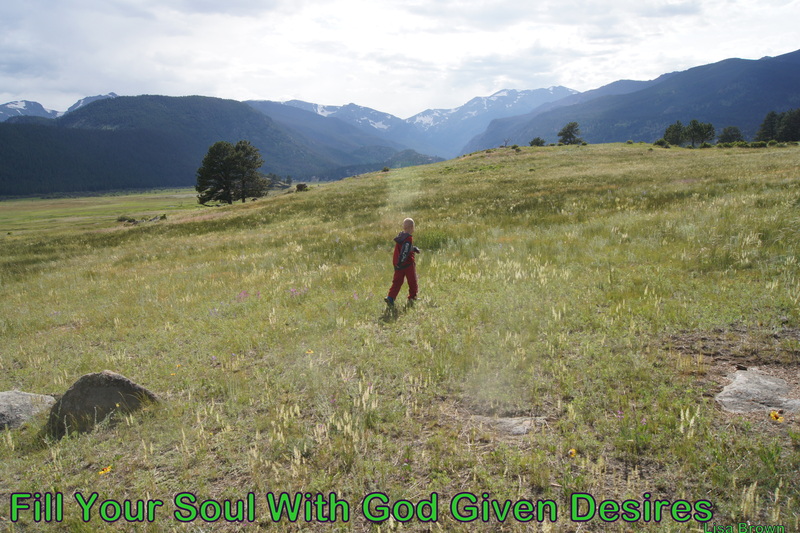 I believe that God has given us our desires. Desire’s that light up our world. He knitted together inside of us our gifts and talents, forming a calling on our lives. We are alive when we share our true authentic selves with others. We are showing them Jesus. God shows us throughout our lifetime things that we love. He drops hints telling us what we are good at. We learn what drains us and what fills us. “When we aren’t able to translate what makes us come alive into our own language, the temptation might be to dismiss it all together. Many of us have spent our whole lives editing our first thoughts. We do this for all kinds of reasons- to avoid critique, prevent failure, please people, or simply because we can’t see how they will logically fit into our lives. So we tuck away our first thoughts, or in this case, our deepest desires, and we cover them up with more acceptable pursuits.” (Page. 44). I’m on a personal quest to daily un-wrap my desires and activate them. I want to see what I can do through God. I want to live everyday like it’s my last. If I don’t take charge of my life then who will? No one will. I’m living out my desire to be a Mom and Wife. But it doesn’t stop here. I’m a writer and when I write I feel amazing inside. Shouldn’t my life as a homemaker fill me? It doesn’t. A matter of fact I’m a much better wife and mom when I take time out for myself to write what’s on my heart. Mom’s its o.k. to have God given desires outside of our role as a wife and parent. Let’s not use the excuse that we have no time. Instead let’s take charge of our life and make time. It’s all a balancing act. It’s not my season to write articles for magazines or have a large blog following or write books. It is my season to write for my blog a few times a week. I didn’t get very much writing done when my kids were toddlers but I did get a few words down in my journal. In every season there is a lesson to be learned. These lessons teach us, shape us, mold us, and prepare us to live out our desires in a meaningful way. What is keeping you from doing the things you love? Maybe you loved being a missionary and traveling around the world. Now that you are a mom of little ones you don’t want to travel. Perhaps you could do missions in your neighborhood until they are older. We do not have to wait until our kids are grown up and out of the house before we can use our gifts and talents. We can’t afford to waste our time waiting for the perfect season to sing our song. It may never come. God wants us to live abundant lives. 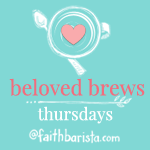 Linking with Beloved Brews Thursday @ Faith Barista. Me Too and thanks for coming by! Great reminders! I own, read, and loved both of the books you mentioned in this post! I am reading Make It Happen right now, living intentionally is so important and so often easy to “forget” to do. Thanks Shannon for coming by!!! Who is the Author for Make It Happen?